Border Pro for Carriers | Carrier Services | Pacific Customs Brokers Inc. Shipment Control Numbers (formerly known as PAPS numbers) allow CBP, Pacific Customs Brokers Inc., and carriers to accurately arrange border clearances in a manner that reduces wait times by allowing drivers and dispatchers to check the status of their shipment prior to crossing the border. Instructions: To check the status of your shipment simply enter the cargo control number, click the 'Check SCN' button and the status of your shipment will appear on the screen. To receive automatic instant updates on your shipment enter your SMS or email address where you wish to receive the updates. Shipment Without a Customs Broker? Have you been dispatched for a load that doesn’t have a customs broker assigned to handle the clearance? Provide us with the following details and we’ll do everything we can to get you through the border as smooth and quickly as possible. Border Pro for Carriers is a full service border solution program powered by Pacific Customs Brokers, aimed to serve carriers, drivers, dispatchers and self-carrying clients. The focus of our program is to streamline the process for carriers crossing international borders. Border Pro for carriers can provide services to any North American carrier, from the Atlantic Coast to the Pacific Coast. With our 24/7 live reception team (no voice mail) and ALWAYS Open operation, we are the ideal partner to best serve carriers. Our friendly, knowledgeable designated Carrier Help Desk will be happy to answer your carrier and customs related questions. We encourage you to call our designated toll-free Carrier Help Desk hot line or email carrierhelpdesk@pcb.ca and a member of our team will respond promptly. Pacific Customs Brokers is an authorized printer for barcode labels. All labels meet the requirements set by CBSA and are printed on adhesive sheets. There are many benefits to becoming a bonded carrier. Pacific Customs Brokers is an authorized agent, who works with an approved Surety Company for all bond applications. The process take approximately six weeks and you will need to provide company financials, proof ownership documentation and a number of applications would need completion. If you are interested in becoming a bonded carrier, we can assist every step of the way. Please contact the carrier help desk to speak with our Carrier Relations Liaison today. Pacific Customs Brokers knows that it's not always possible to obtain release (electronically) at the border of the first point of arrival. There are instances where the goods will need to be taken to an inland facility (bonded warehouse) where they will remain until they are Customs released; or where the goods will travel in-transit through Canada to get to the final destination in the U.S.
Are you traveling in-transit or going to a bonded facility? 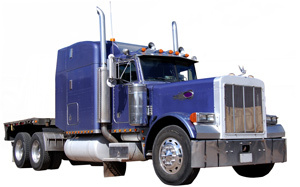 To file for a SCAC code you must apply to the National Motor Freight Traffic Association (NMFTA). You can submit your application, along with a $62.00 application fee, online at www.nmfta.org. You can also submit your application by fax or mail, along with a $70.00 application fee, to 703.683.6296 or via mail to their head office, located at 1001 North Fairfax Street, Suite 600, Alexandria, VA 22314. Once the application has been received, a letter from the NMFTA with your assigned SCAC code and instructions will be sent to you. Pacific Customs Brokers is happy to set up a Customs clearance for a shipment on your truck that is unassigned to a customs broker. We provide fast, knowledgeable and friendly service at time of the day or night. We are ALWAYS Open, with a live reception team (and no voice mail) to answer your call.